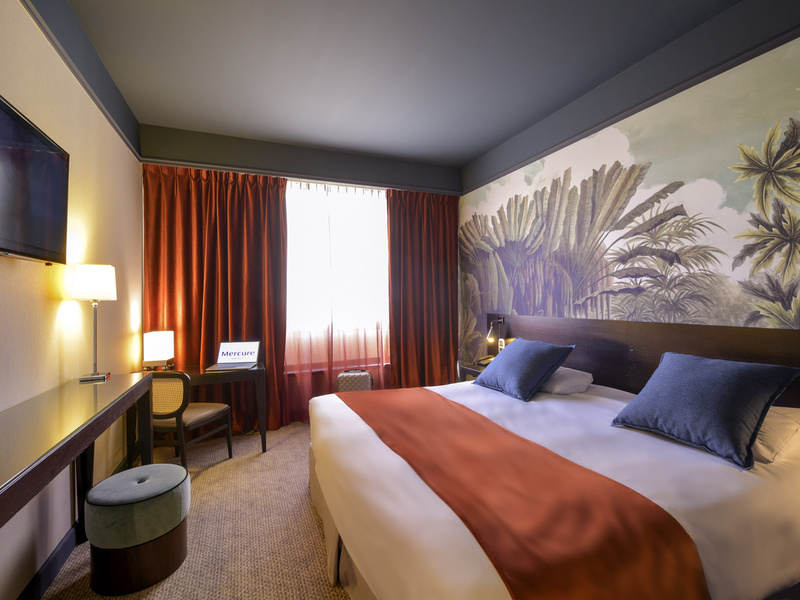 Located in the old wine merchants district, the 4-star Mercure Bordeaux Château Chartrons hotel is ideal for a family stay and a corporate seminar. Its beautiful Victorian facade lights up the neighborhood and its garden is conducive to relaxation. You will love the facilities: restaurant with terrace, fitness area, family rooms, large meeting rooms, everything is on hand for both work and leisure. Whether on a business trip or a weekend away, choose from our comfortable and sophisticated Standard, Superior, Privilege or Suite rooms. Families: enjoy our connecting rooms at a special rate! Our restaurant Le Chais Saint Louis is open daily from midday to 2pm and from 7pm to 10pm. Open daily from 6am to midnight.